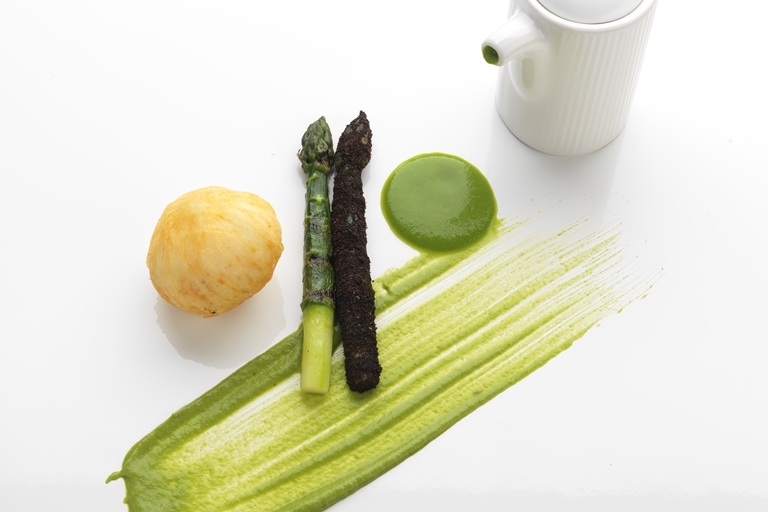 This asparagus soup recipe from Daniel Clifford makes a lovely starter or a light lunch. The soup is made with asparagus, spinach and garlic for a delicious springtime taste that can be made vegetarian by using vegetable stock instead of chicken stock. The crispy deep-fried hen's egg is a brilliant addition, along with the truffle, asparagus spears and purée. This is an excellent way to celebrate the British asparagus season.